Born into the royal family of Kenya she attended the University of Kenya where she fell in love with American born photographer David Munroe. They fell in love and she abandoned her duties as princess of Kenya to marry him and go to America. 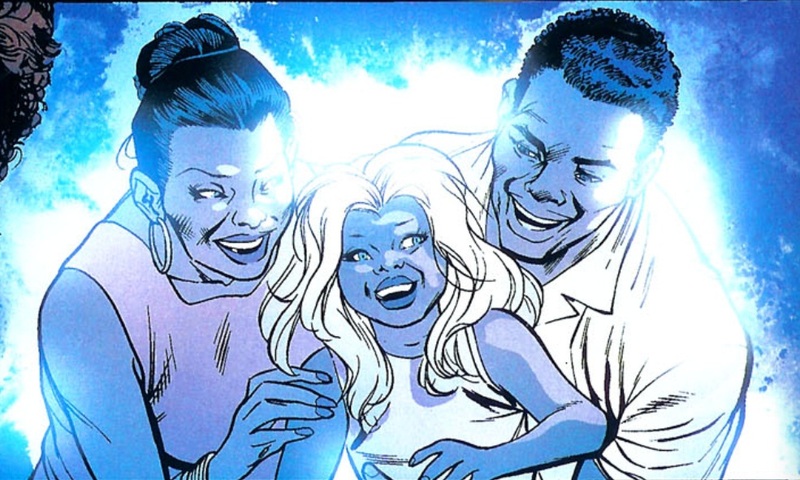 While there she gave birth to her daughter Ororo Munroe who was born with her bloodline traits of power; blue eyes and white hair. The civil unrest in America scared her and so she convinced her husband to return to Africa so their daughter would be safe. Six years after returning to Africa and settling in Cairo, Egypt both she and her husband where killed in a bombing. This event left her daughter with a sever case of claustrophobia since she was buried with their bodies. Her final gift to her child was a red jewel which had been in her family since before recorded history which her dead body clutched until her daughter removed it from her grasp. In an Ironic twist she was the catalyst which resulted in her daughter being subjected to the life of a thief and crossing paths with T’challa despite her best intentions of protecting her daughter by leaving America.